Get a set of great 13” wheels for your truck, car or SUV. At Tyres Gator, we carry the best wheels and tires from some of the world’s best brands. When you shop with us, you’ll get great customer service and fast shipping from the tire company that works hard to earn your business by offering you an unbeatable selection and unbeatable prices. Shop our selection of 13” wheels now that perfectly complement your vehicle. 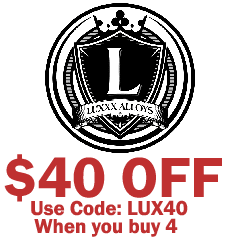 We carry wheels from brands like Helo, Luxxx Alloy, Revolution Racing, Venom, and VCT Wheels, so don’t pay more from other online tire stores when you can shop with Tyres Gator for more wheel for less money!